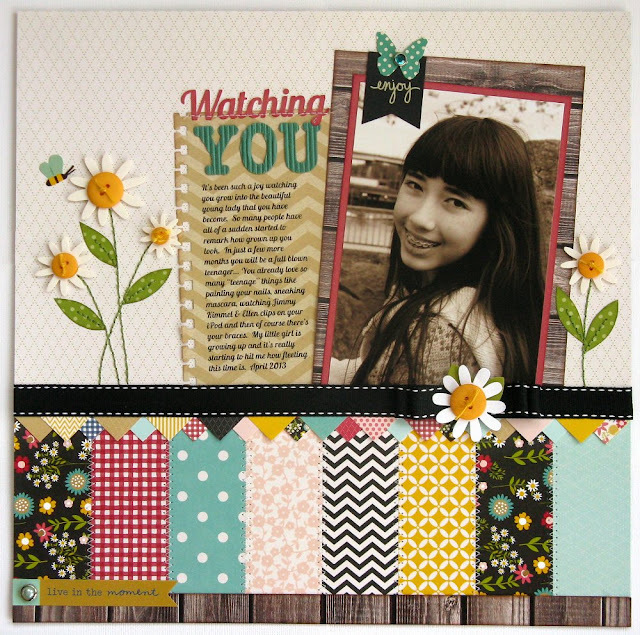 I made this layout of my oldest daughter using their beautiful Walnut Grove collection. 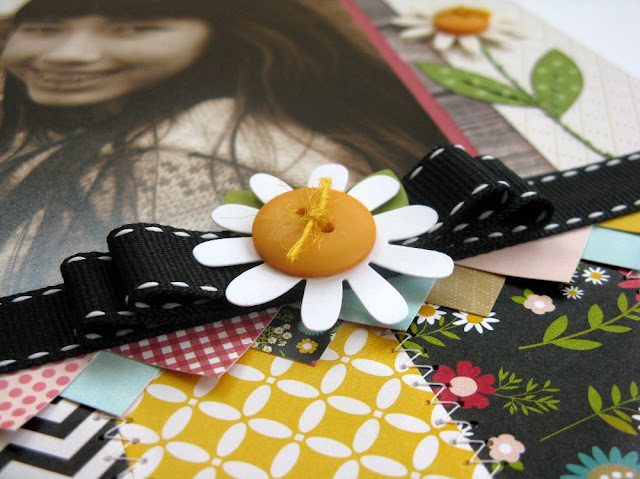 I was really drawn to the daisy stickers in this collection so I paired them with yellow buttons, popped them up with foam tape and hand stitched some dainty stems and leaves to ground them. I also really wanted to showcase all of the beautiful prints from this collection so I created a patchwork border along the bottom of my layout and topped it with a fun ribbon and bow. There was a fun triangle patterned paper in the collection that I fussy cut, curled up a bit and layered under the ribbon for an added detail. I have to agree... you are so talented that I do not know how any team could deny you and not hand pick you! 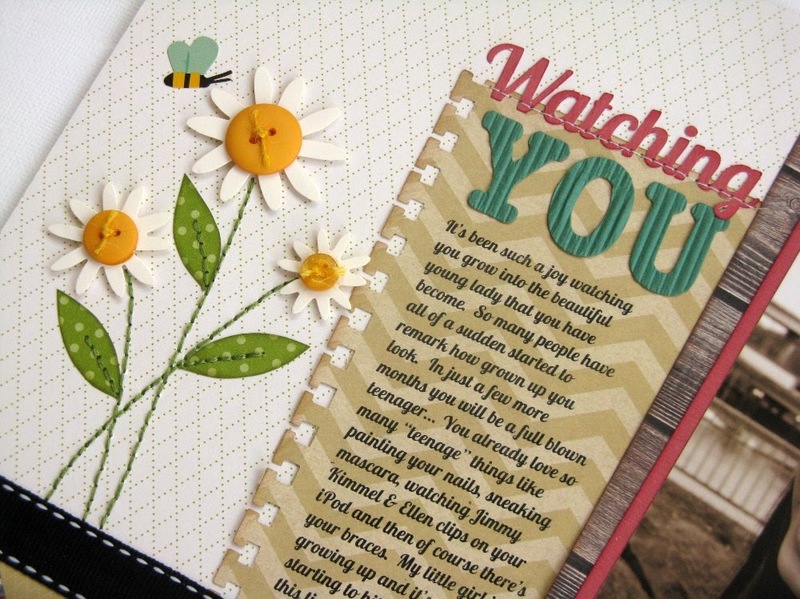 This layout is absolutely gorgeous! So is your daughter!!! !